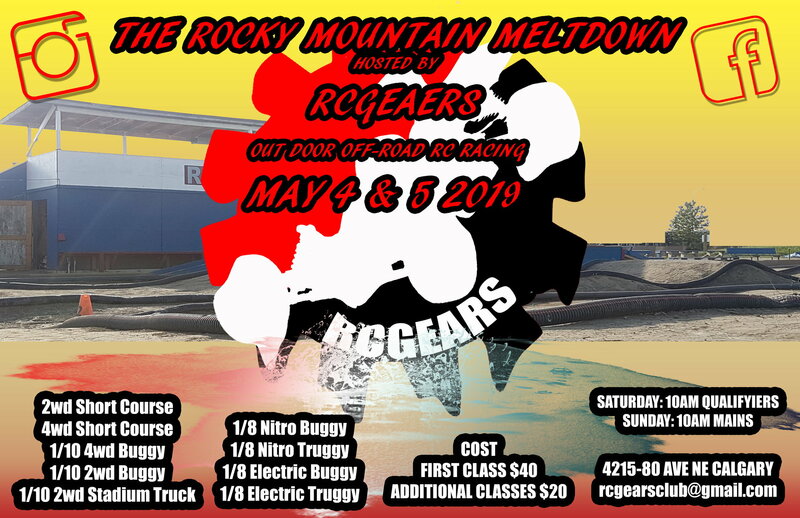 just under 3 weeks until the Rocky Mountain Meltdown. We are open to all classes but I'm guessing we'll be running 1/8 nitro and electric buggy 1/10 2wd and 4wd. If you bring it we'll run it or fit you in to the most suitable class. Novice and new drivers welcome. Bonus points for monster trucks. Contact via the email in the signature. Spectating is free. Also, free registration for this race for anything traxxas, bring em out! Last edited by RCGEARS; 04-15-2019 at 06:43 PM.